A view from above of a lovely coastal town. 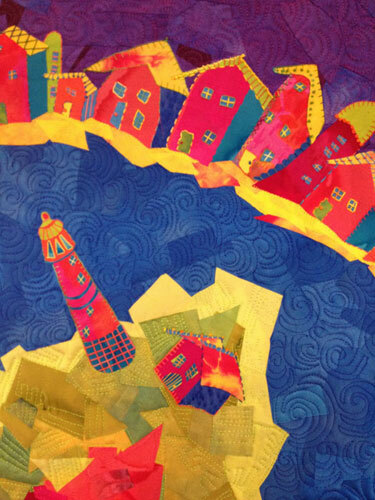 Color Chip Coastline is a fused art quilt made with hand dyed silk and measuring 27″ x 21″. 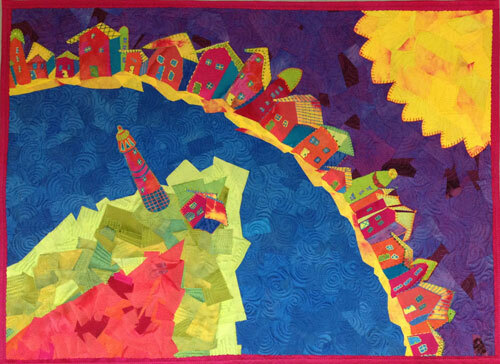 It is hand embroidered and machine quilted. There is a sleeve on the back for hanging on the wall.